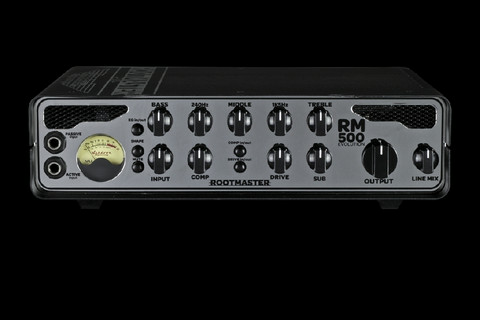 Rootmaster EVO heads also feature an upgraded power section plus a handy mute button. What&rsquo s even cooler is when switched to mute, the trademark Ashdown Engineering VU meter changes from orange to cool blue &ndash creating the perfect on stage mood lighting between sets. A combined Jack/Speakon socket with a minimum 4 ohm load provides flexible partnering options with a dedicated range of Rootmaster EVO cabinets. Ashdown&rsquo s 1 x 12&rdquo , 1 x 15&rdquo , 2 x 10&rdquo and 6 x 10&rdquo cabs all feature Ashdown White Line speakers for a refined tone, plus a high- frequency 3-way controllable tweeter for additional top-end bite.